In the Rookie Patch Autographs set, find the top rookies of 2018 on signed patch cards! In the Rookie Dual Patch Autographs set, find the top rookies of 2018 on signed dual-patch cards! Oversized-patch autographs with a checklist full of stars! New for 2018, these booklet cards are Flawless! 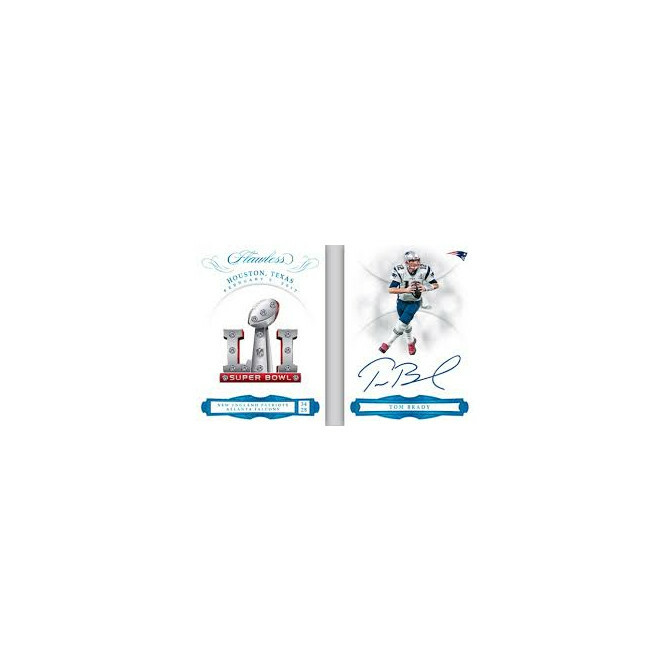 Featuring the Super Bowl logo embedded with diamonds on one side and either Tom Brady or Aaron Rodgers on the other, these cards are truly one-of-ones! Find the top rookies of 2018 in this limited booklet set!